That, is a very typical question that the Mpala team gets all the time from their international friends, family members and also the Danish owners from up north. It is hard to say why everyone is so interested in the South African weather but when you look at the differences between Denmark where the owners are living and the South African temperature, we might find an answer. As we all know Denmark is placed in the northern hemisphere and South Africa is placed in the southern hemisphere. Approximately one third of Africa is part of the southern hemisphere and it means that the winter time at Mpala Safari Lodge is from June to September and the summer time is from December to March. When looking at Denmark and the northern hemisphere we see the exact opposite. The winter time is from December to February and summer from June to September. A few days ago (January 2016), Mpala Safari Lodge experienced 40 degrees C while some friends of the lodge were trying to keep themselves warm in Denmark where it was minus 5 degrees C outside. That is one of the extreme examples, but it is important to remember that the Danes are experiencing low temperatures because of wintertime and the Mpala people are experiencing high temperatures because of summer time at the moment. But winter I not what you would expect at Mpala, because it is almost like a Danish summer ! Mpala Safari Lodge is beautiful and nicely tempered in both seasons and there are good reasons to go to this area in both winter and summer time. The summertime is sometimes very hot and can call for a relaxing day at the pool with cold drinks. It is a good chance to get some color but the use of sunscreen is important because the South African sun can be very strong to the skin. The rainy season is during the summer months but rain is not predictable like in the more humid areas like at the Far East fx Thailand. Rain may come or may only rarely occur – mostly less than we hope for and as such, it is not right to talk about rainy season. The rainfalls come mostly in the summer months, which results in beautiful flowers and plants sprouting everywhere. When it rain, it is likely to do so during the nights. Thunderstorms may occur because of heavy rainfall and are a spectacular sight to be experienced. The wildlife have easier hide in the thick vegetation and they are full of nutrition because they can enjoy the many food and water sources that are to be found in this season. The wintertime is the dry season. Temperatures during the day times are mostly around 23 degrees C, varying between 17-28 in the coldest months of June and July. During the nights the temperature drop to 1-2 degree C. August and September are commonly warmer and especially during the nights. The vegetation become less as the grass dry out and the trees and bushes lose their leaves and become fantastic silhouettes in the evenings. The sunsets are beautiful with reddish light on the sky in spectacular colorations. The animals cluster together and are easy to find especially close to the riverine areas where they can still find water and food. During this season, you see much more animals because of the thin vegetation and small number of hiding spots. There are no high season or low season but all the seasons are beautiful and spectacular in their different ways and it is worth experiencing both. Do not worry if you have to choose, because regardless what the result will be, you will definitely be amazed by exciting experiences. Do you want to get close to the wildlife to get some amazing and unique pictures? This requires extensive local knowledge and a tranquil setting to succes. You get it all at Mpala Safari Lodge which is located in the Kruger National Park in South Africa. Wildlife are best observed in their natural surroundings. 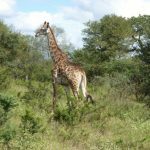 To see giraffes, lions, rhinos, elephants and many other African animals up close, the Kruger National Park in the north-eastern part of South Africa is a good place to go. 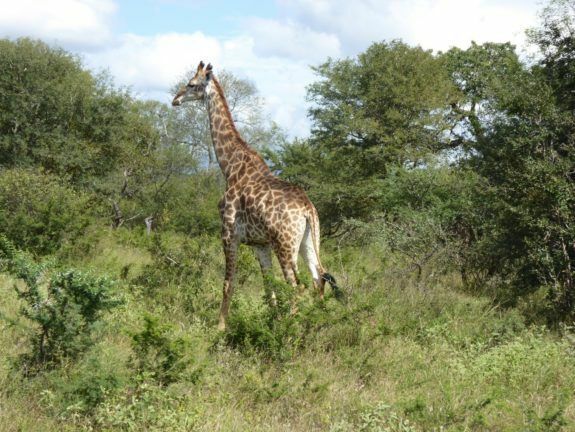 It is the largest game reserve in Africa, open to the public since 1927. To get close to the wildlife you need quiet and calm conditions and a guide who is well acquainted with the local conditions. In the southern part of the Kruger National Park that can be hard to find because of the large number of tourists. But if you head towards north east in the park, the tourists will be less frequent. Here you find Mpala Safari Lodge, located on the banks of the Olifants River. With room for only 12 guests at a time, there are good opportunities to get a first-hand view to the amazing wildlife. In fact, it can be observed directly from the terrace of the luxurious duplexes you will be accommodated in and you will have an extremely good view to the wildlife along the Olifants River from the terrace in the main house. But you will get even closer to the wildlife! During the week you go on a very exclusive photo safari in the bush. Among all the exciting safari excursions, games drives, bush walks and tours that are included in the stay at Mpala, you will one day also get the opportunity to driving an ATV on your own through the bush among the animals, which is a quite rare event. If this is not your best idea of a game drive you just take the open safari jeep with one of the rangers as a driver. The rangers at Mpala are real professionals and know where to find the different animal groups at the moment. The animals move during the season depending on where they can find food and water. The rangers will lead you as close to the wildlife as possible, to give you the best opportunities for good pictures. Of course, the rangers are vigilant and armed, if you should encounter a dangerous situation, which only very seldom happens. The game drives and the bush walks and the trip on ATV’s takes place at a steady pace through the many winding paths in the bush. Along the way the rangers tell you how to read the tracks that the animals leave behind. The rangers are excellent with telling about the wild life and the nature and about how to survive by using the natural bush methods. There will also be time for refreshments and lots of time to enjoy the magnificent scenery. When the days are over, our chefs make a true gourmet meal, often over open fire – one night even in the middle of the savannah far away from all civilisation, with the most spectacular scenery of the millions of bright stars on the black African sky. How more romantic can it be ? To experience the beautiful and luxurious Mpala Safari Lodge, you have to be an early bird. With room for only 12 people at a time, it can be difficult to find vacant duplexes at a time that suits you. So book now to get an incredible week (if not two weeks because the second week is half price) in first class luxury with lot of opportunity to get your greatest pictures of the African wildlife – and maybe the best holiday of your lifetime. The skilled rangers at Mpala Safari Lodge will ensure you get the most out of your safari and keep you safe. Understanding animal behavior will help you enjoy your safari so much more. It will help you spot wildlife, their predators or prey and even mean you take better photographs. Needless to say, you are not expected to be knowledgeable about the animals you’ll see or their habitat. That’s where our rangers come in! At Mpala Lodge, our highly trained and skilled rangers have many years of experience in the bush and are eager to share that experience with you. They will guide you, answer your questions and above all, keep you safe. What makes a great guide? At Mpala Safari Lodge we like to make an analogy with visiting a museum or viewing a work of art in a gallery. An untrained eye is able to appreciate an artefact or painting, yet so much more can be learned and understood if explained by a good guide. Details you may have not noticed, such as tracks left by animals, the way they move, hunt, eat and play are brought to life so much more vividly when explained by a ranger. You probably know for example, that a giraffe bends it neck down to drink! But did you know that every giraffe raises its head very fast by flicking it up? This results in a spray of water that makes for some really good photos. Our rangers won’t get in your way though. You’ll have plenty of quiet moments for your own thoughts and reflections safe in the knowledge that the service minded guide is on hand should you need him or her. All our rangers are well trained and qualified to the FGASA (Field Guide Association of South Africa) standard. This qualification is the most widely accepted high-level certification process in areas like nature guiding, tracking, and rifle handling. Our competent rangers will accompany you on our programmed activities such as game drives, take you out on bushwalks and help you spot the big five. They will give you precise and clear instructions on what to do and not to do to keep you safe and, of course, are armed and well prepared for any unexpected eventuality should it arise. Qualifications are worthless though without experience, passion and motivation. Our rangers like Sebastian Jansen van Vuuren with 13 years experience in the industry have all of these qualities. They have a passion for the bush, for animals and conservation. As Sebastian puts it “I feel deeply blessed to be in the nature and like to call it my office”. It’s not just experience and knowledge about animals though. To be able to answer your questions and guide you, a good ranger needs to be skilled in nature conservation, mammals, birds, insects and plants. So if you are planning a safari, at Mpala Lodge you can be sure of first-rate service, South African hospitality and the best rangers to guide and protect you. Mpala Lodge offers an African Safari you never thought possible in one of Africa’s most stunning nature reserves: Greater Kruger National Park. A stay at our exclusive resort is a seat on the front row, allowing you to come into close contact with nature and enjoy the rich wildlife found in the park.